Enjoy droppeD, released on March, 29th 2019, on all major digital streaming sites! droppeD is a digital only release. Catch up on what Fred & BG has to say about the droppeD songs on YouTube. The recording of droppeD was documented in the Just push rec series on YouTube! Watch the Still Alive but in a Different Way-videos on YouTube! 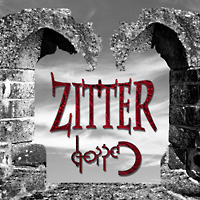 Zitter now on Instagram as zitter_music.